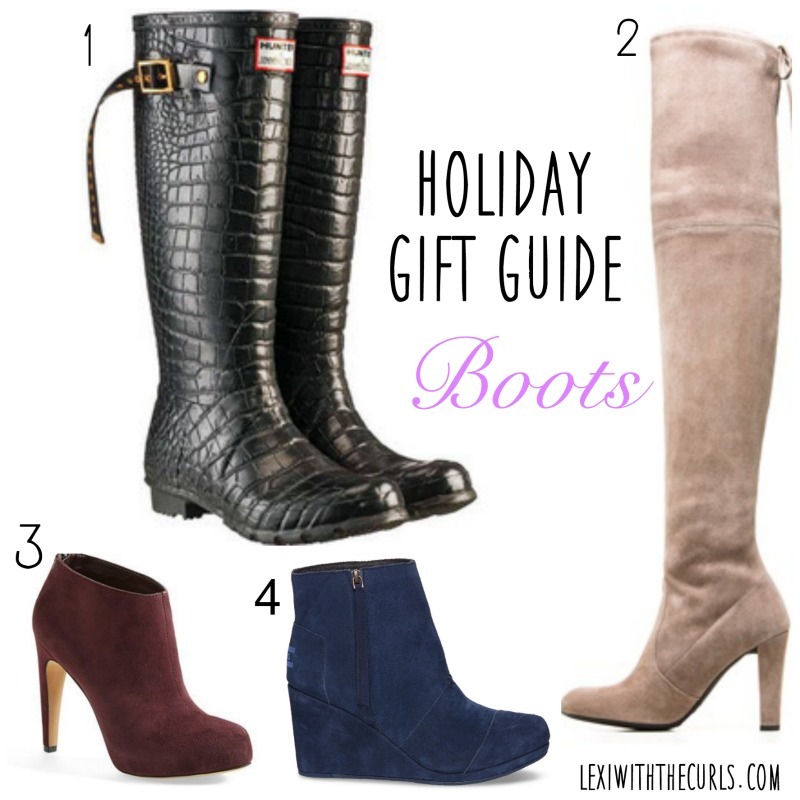 Holiday Gift Guide – Boots!!! I am obsessed with boots in the Fall & Winter! Who isn’t! I have had great luck this year with getting amazing boots at a discount. Whether you are looking for ankle booties, open toe boots or over the knee boots, I wanted to share some of the best boots of the season at all different prices! 1. Hunter Rainboots (Found here)- These are classic. You definitely need these in the Fall, Winter & Spring with all the rain and ice/snow! 2. Stuart Weitzman Highland (Found here)- I have been crushing on these for awhile. I have seen alot of people with them and EVERYONE says they are so comfortable. The price is steep–but I hear they are worth it. The gray ones look amaze!! 3. Sam Edelman Keaton (Found here) – These burgundy booties are too cute! If you want to pick up a color besides the typical black or brown, this is a great color to try out!